No one is better at explaining the real meaning of death than the one who will face it within years. 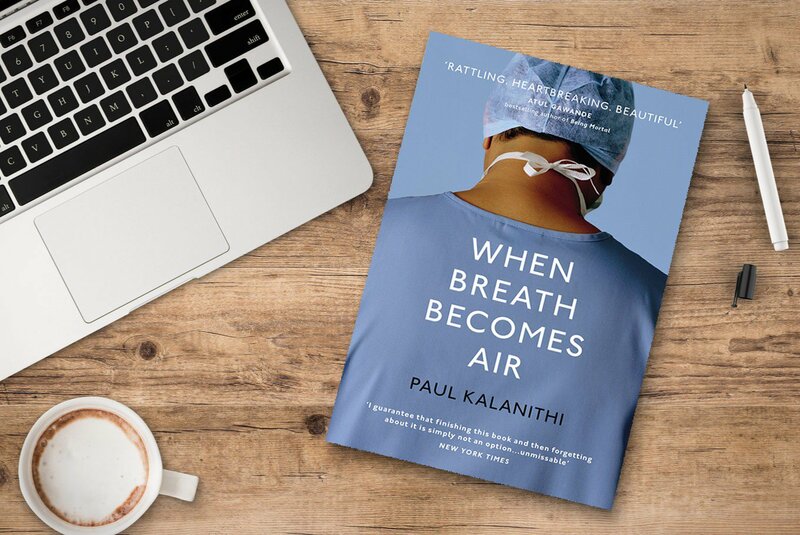 When Breath Becomes Air is a memoir of Paul Kalanithi, an idealistic yet successful Indian-American neurosurgeon who was diagnosed with stage four metastatic lung cancer at the age of 36. Throughout the book, Kalanithi invites us to live his life from his childhood to his last days. He had a fascinating career in his short life. Kalanithi graduated from Stanford University with an MA in English Literature, another MA from the University of Cambridge in History and Philosophy of Science and Medicine, and an MD from the Yale School of Medicine in 2007 before he decided to start a career in neurosurgery. He was about to finish his residency as a neurosurgeon when he was diagnosed with lung cancer. What is the meaning of a successful life when you only have two years left to breathe? Kalanithi died in March 2015. The afterword of the book was written by his wife Lucy Kalanithi, an internist at the Stanford University School of Medicine. Lucy’s afterword came in the form of a goodbye letter and a tribute to his husband. She had accompanied Kalanithi throughout his struggles in battling cancer. Her description served as the closing remark of the book -- it strengthened Kalanithi’s message while drawing insight about his perspectives on life. Through his philosophical and introspective narration, Kalanithi gives an authentic point of view toward a human’s life when it comes to facing death. Despite its vocabulary that is heavy in clinical terminology and the book's details about brain surgeries, When Breath Becomes Air presents an inspiring memoir for those seeking the true meaning of life. The book is also full of intense emotion as it is abundantly embedded with some spiritual values. As a result of its poetic and philosophical descriptions about life and death, the journey of searching for meaning as well as the perspectives on suffering and gratitude, When Breath Becomes Air paints clear images of the author’s experience and leaves the readers deep in contemplation. The irony of Kalanithi’s life captures the realization that the only certain thing in life is change. His dedication toward neurosurgery exemplified his endless devotion to a true passion. Unlike other memoirs, the book provides us space and time to devour its message solely based on our viewpoints and prior experiences. Instead of giving answers, Kalanithi makes us question what really matters in our life. When Breath Becomes Air wants us to stop, momentarily refrain from the urge to fulfill our own ambitions and just cherish life as it is.